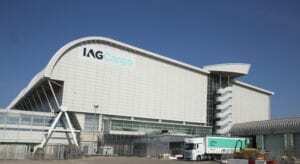 Commercial revenue rose 7.2 per cent at IAG Cargo last year to reach €1.2 billion. Overall yield for the year was up 8.1 per cent at constant currency. Sold tonnes were up 0.2 per cent and CTK volumes were down 0.9 per cent while capacity grew by 3.8 per cent.